A close-up of a female Anopheles arabiensis feeding. Credit: Author. South Africa is one of four southern African countries aiming to eliminate malaria transmission by 2023. Indoor residual spraying using DDT and pyrethroid insecticides constitutes the backbone of South Africa’s malaria control programmes. Effective vector control by indoor residual spraying has been key in the reduction of malaria cases. This was instrumental in creating malaria-free zones in most parts of the country. Malaria transmission is now limited to the north-eastern parts of Limpopo province, the low-veld areas of Mpumalanga province and the far northern parts of KwaZulu-Natal province. One possible approach is a technique that involves sterilising the insects. The technology is currently being assessed in South Africa. The technique involves a genetic birth control method in which laboratory mass-produced sterile male insects are released into the wild at a ratio that effectively inundates a target population. This forces most females to mate with sterile males, substantially reducing their fecundity, and resulting in population suppression. The sterile insect technique has been applied successfully against other insect pests including the fruit fly and the new-world screwworm fly. In South Africa this technology is routinely used in Citrusdal, Western Cape to control the false codling moth. Phase 1 included trials showed that sterilised An. arabiensis males mass-reared under laboratory conditions can compete with fertile males for mates. This milestone informed phase II of the project which is currently underway. This phase aims to test the feasibility of the sterile insect technique through a small-scale pilot field demonstration in northern KwaZulu-Natal. Research activities for phase II are in progress. The biggest development here is the building of Africa’s first pilot mosquito mass-rearing facility. Interestingly, marked males were recaptured in swarms of wild males. This indicates that the laboratory-reared males were able to locate and participate in mating swarms – a crucial step for the potential success of the sterile insect technique. In addition, it’s critical to get the community involved and addressing any social issues so that people cooperate and participate. 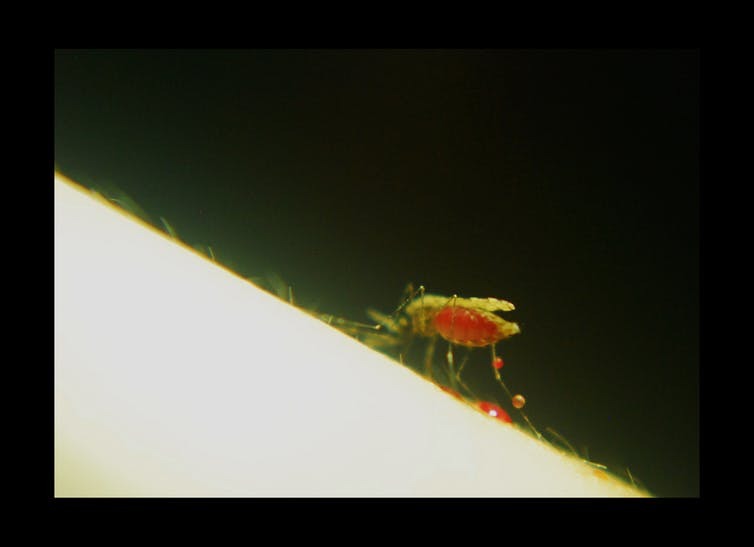 This is particularly important because the sterile insect technique can be seen as increasing the numbers of mosquitoes in an area after the release of the sterile males. A malaria awareness campaign has already been conducted. Information on malaria transmission and control – including the potential of using the sterile insect technique – was shared through radio interviews, brochures, road shows and lectures in isiZulu.